The smartphone stylus pretty much went the way of the Dodo bird with the introduction of the original iPhone that reinvented the touchscreen paradigm, yet a lot of folks have apparently been missing it. 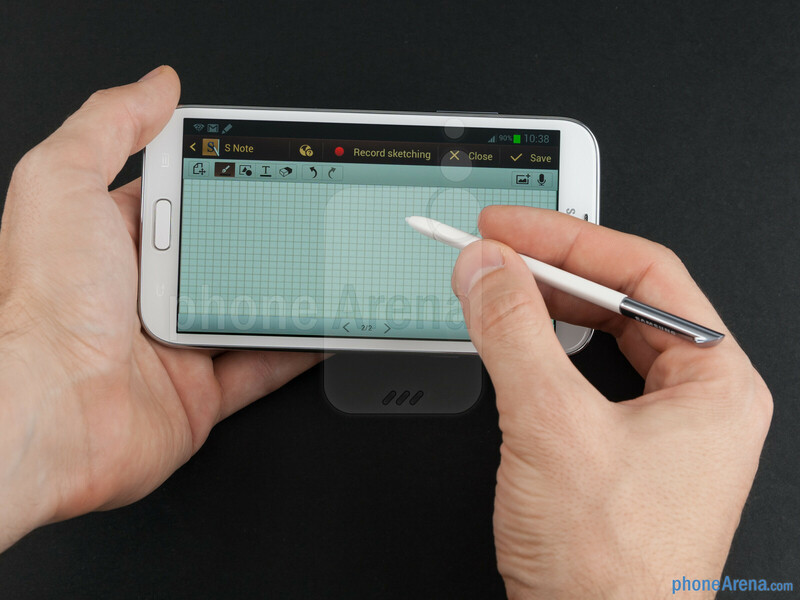 Samsung really caught up to that trend, and introduced a stylus-laden Galaxy Note handset, but instead of putting the pen there for the precision it allows you in some tasks (like hitting tiny X buttons on small-screened WinMo handsets), it took a counterintuitive at first look approach. The Note was equipped with the gigantic for a phone 5.3” screen to doodle on - a pretty logical idea if the intent is for more useful tasks than chasing interface elements unoptimized for touch. Such a huge phone was a gamble, though - Androids were growing in screen size at the time, but the flagships topped out usually at 4.3”, and the iPhone was still at the palm-friendly 3.5” size, so a 5.3-incher raised quite a few eyebrows. Whether because of the top-notch specs at introduction, because of the marketing push Samsung put behind the Note, or simply because people heard about the Note and said “Bril, I can now jot down the grocery list when out of the door, or scribble an address while on call”, but the monster handset carved a brand new niche for itself, and more than 10 million units have been sold so far. A 5.5-incher doesn’t bat an eye these days, and it’s not only Samsung with the first Note to blame. Calling from smartphones is pretty down the list of the most used features now, with web browsing and media consumption knocking it off its perch. Thus, people have been increasingly game with sacrificing pocket and in-hand comfort for having an ever-increasing portable window to the world - what a smartphone screen has become today. Despite the larger screen, the Note II is about the same weight as its predecessor, but is not as wide, making it a tad less unwieldy in the hand. 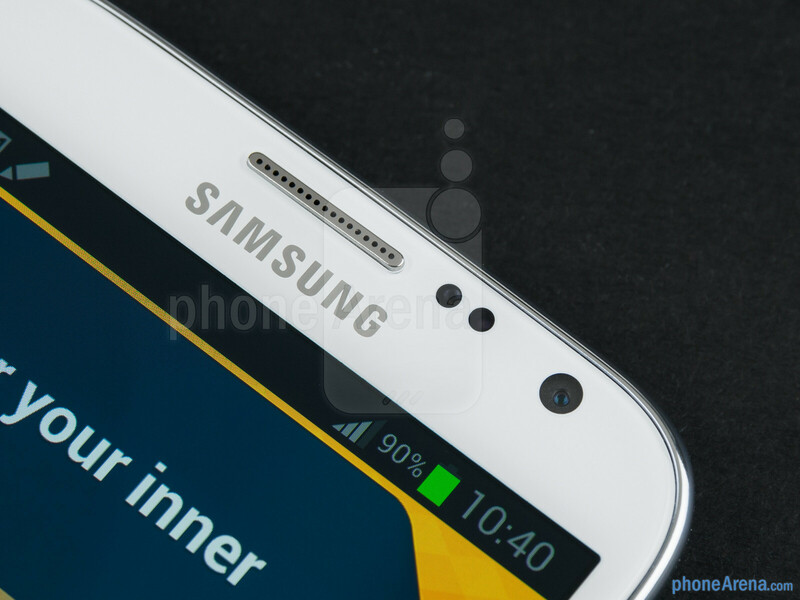 It is still a giant, messy thing to deal with, especially if you have smaller hands, but has been slimmed down, and received the gradual curves and rounded corners of the Galaxy S III, meaning that it is a bit more comfortable to handle than the Note. 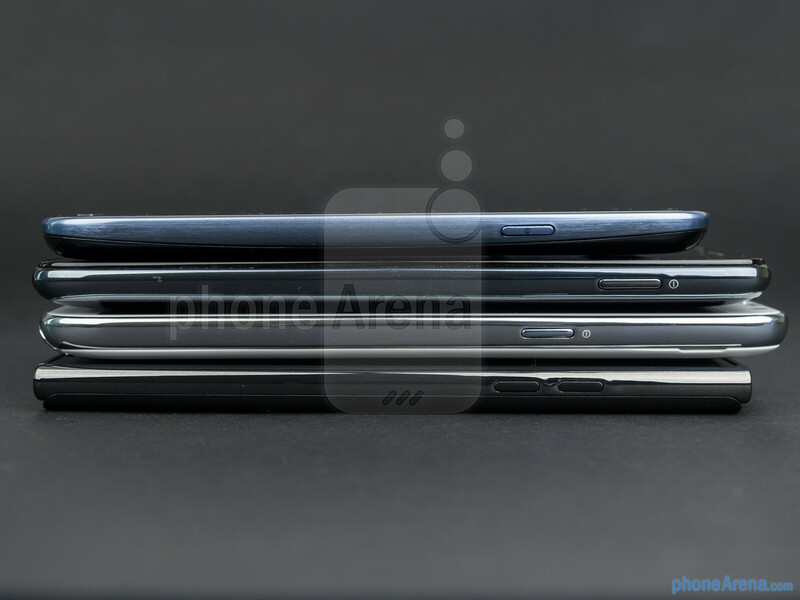 The design similarity with the GS III is strikingly obvious, with the notable exception of the stylus silo bottom right, which hints at the Note II’s other main selling point. 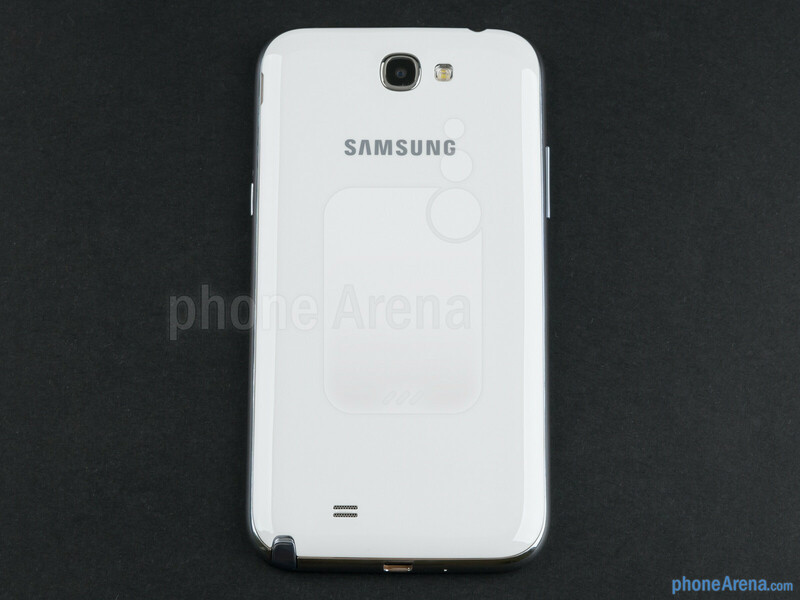 The chassis build material is the same polycarbonate plastic used for the S III, with gradient colors in the non-white version, and the only gripe about it is that it is a bit slippery to hold - a slightly textured surface might have been a better choice. 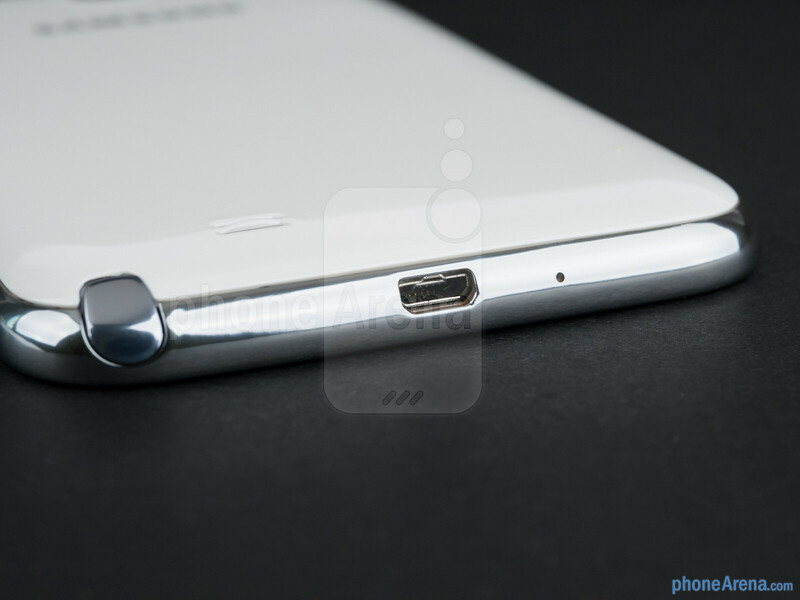 We don’t have a unibody design here - just the good old paper thin battery cover, under which you find a microSD and micro SIM slots, as well as a removable battery, so the Note II earns starting points for expandability right there. 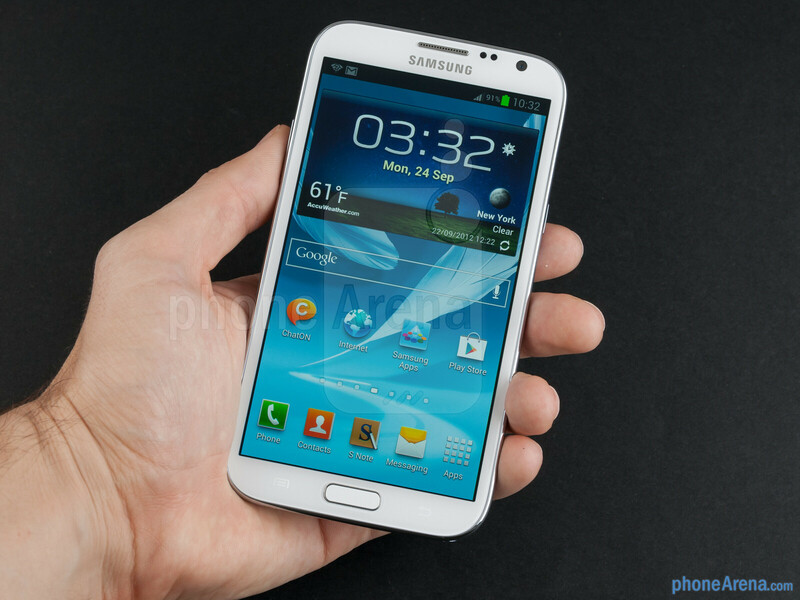 The first thing you notice when you take the Note II in your hands is that juggernaut of a screen that Samsung has managed to fit in a more compact body than the Note. 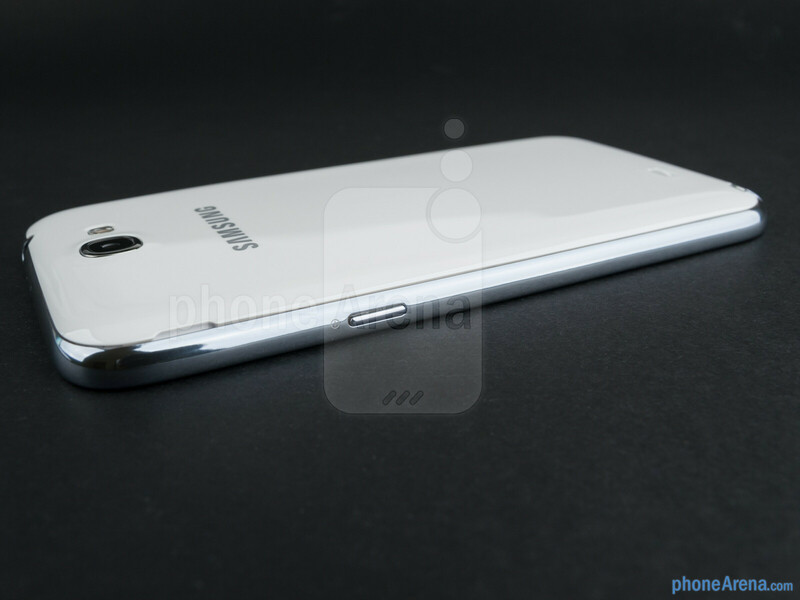 It occupies almost the entire front, with a significantly slimmer bezel underneath, where the home key is – the bottom bezel is thinner than not only the one on the Note, but also on the Galaxy S III. The biggest news with the Note II’s 5.5” 16:9 screen is not just that it is the largest ever put in a phone, but that it is the best AMOLED display Samsung has ever produced, too. Granted, it’s listed as an HD Super AMOLED display, which should still mean a PenTile pixel matrix arrangement, right? Wrong. Microscopic examinations of the Note II display show that PenTile’s peculiar way of achieving higher resolutions with ⅔ the subpixels of the usual RGB matrix, is gone now. 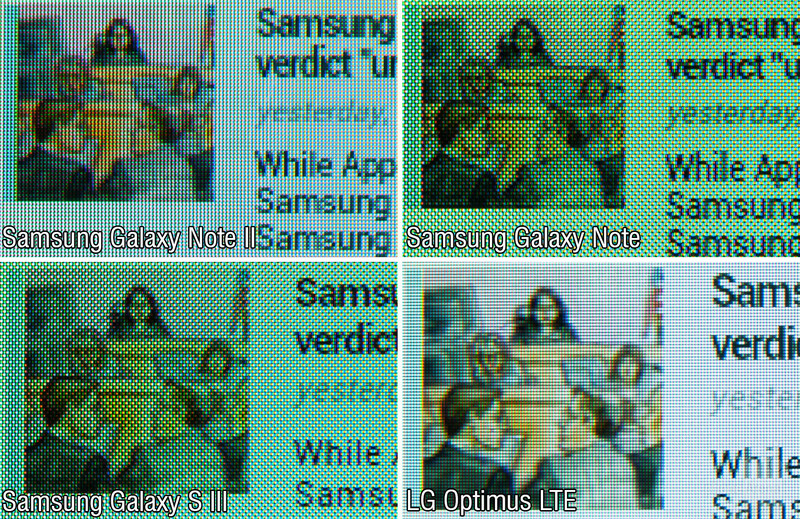 What we have in the Note II is not a “stripe” RGB matrix either, as the blue subpixel is perpendicular to the red and green, instead of parallel, but still we have all the subpixels per pixel present now, though arranged in an alternative to “stripe” manner. Not that PenTile made that much difference compared to RGB at such high resolutions, but its alternative “screen door” matrix irked some screen purists, and we are done with that now - solid green or red looks, well, solid. Because of this new HD Super AMOLED, one would argue that the 1280x720 (267 ppi) resolution of the Note II is actually higher on a subpixel level than the 1280x800 (285 ppi) one on the Note, yet you can’t really see much difference with the naked eye. 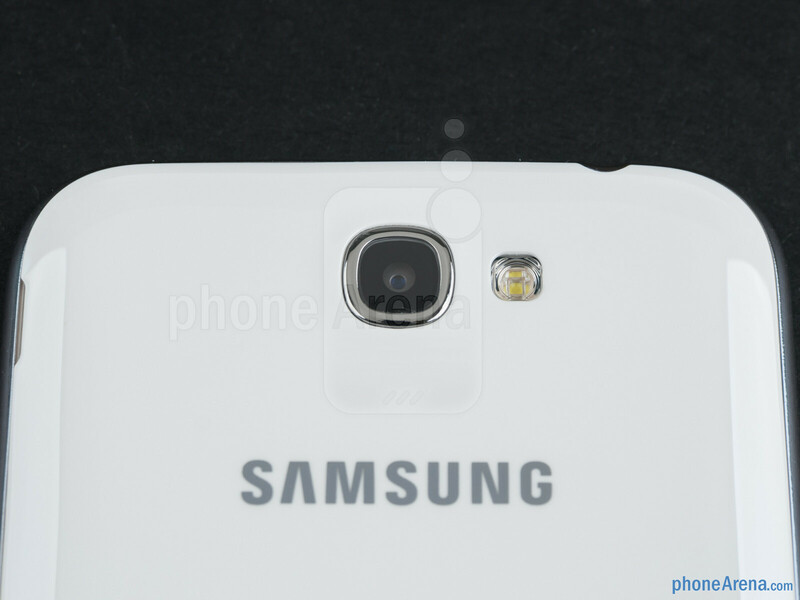 What you can see, however, that the cold colors typical for Super AMOLED are almost gone now, and when displaying white the Note II is pretty close to a good LCD display, as it has largely disposed with the typical cold blueish tint. More important than the geeky PenTile vs RGB argument is that the screen is also much brighter now, and might easily be the brightest AMOLED on a Samsung device yet, which, coupled with the low screen reflectance, makes for an excellent outdoor visibility, and the automatic brightness adjustment works like a charm. Other than those, you get the usual wide viewing angles, extreme contrast, and saturated colors you would with other Super AMOLED displays, making the phone the best handset out there for enjoying video with this screen size. The stylus sits very tight in the silo, almost too much so, making you put an effort while whipping it out in a brand new unit. The Note II makes a beeping noise and pops a warning when you walk away from the desk, and the stylus has not been inserted back in the silo. 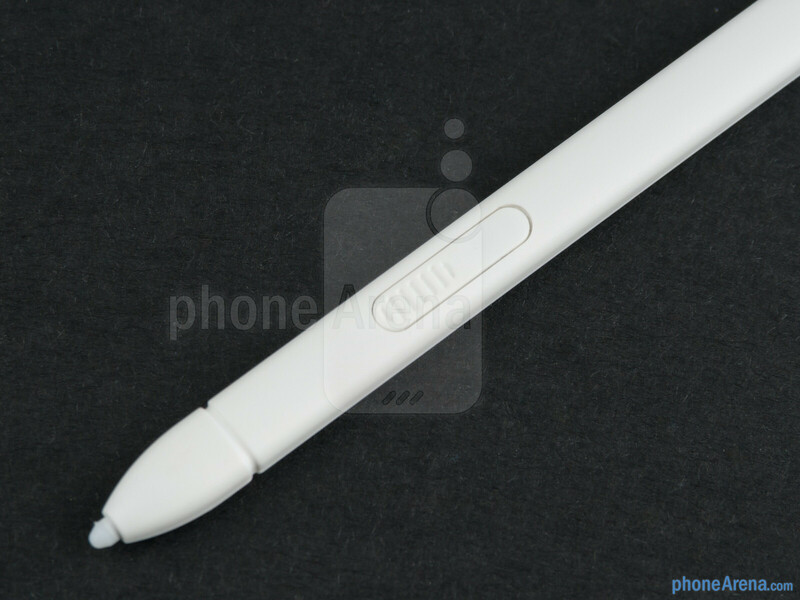 Since the S Pen is longer and way thicker now, it feels much more ergonomic in the hand, and the button at the bottom is larger and easier to press compared to the original Note, too. 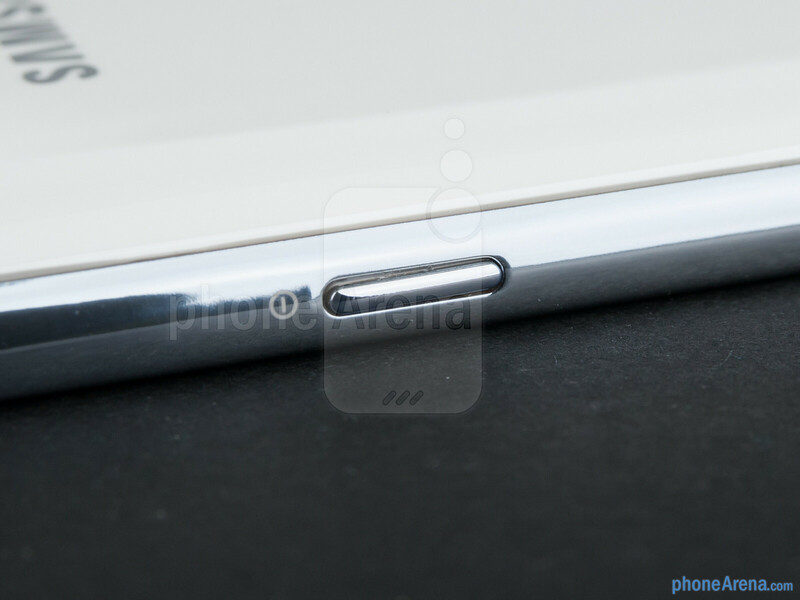 The stylus on the Note II feels more solid, too, better than the thin, bendy unit on its predecessor. cant wait to own one! 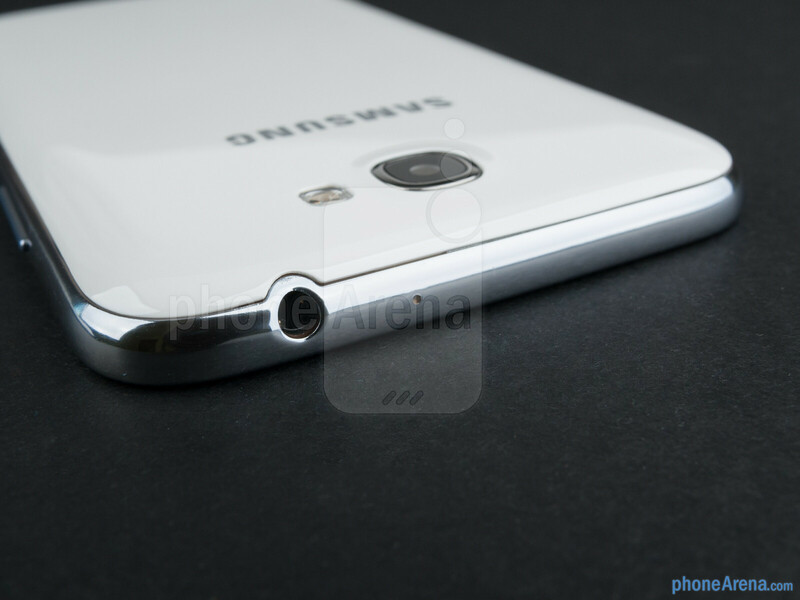 I bet the SGS4 will have 5.3" screen. 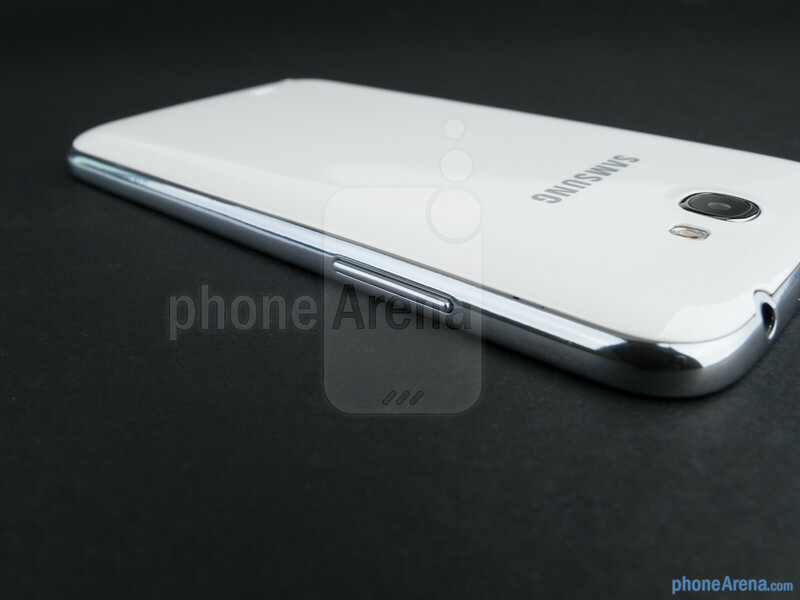 lets hope that phone doesnt come out a month after the note 2 and that it doesnt come with a quincore processer and 4gb of ram. 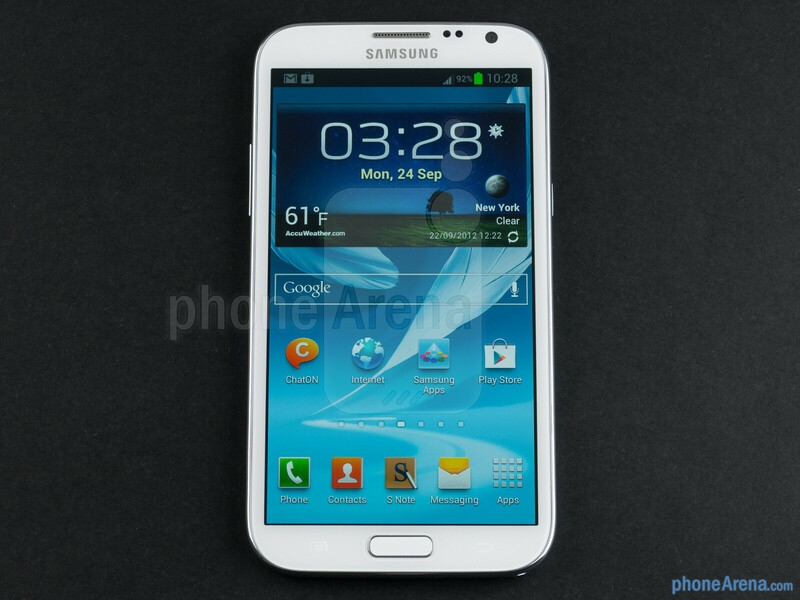 Lets also hope it is not going to be $300 on a 2 year contract in the U.S.
what a phone..!!! good job done sammy. btw now we can take back our thums up/down here on PA. if you thum down sone one by mistake just thumb down again and that comment will no longer have your red thumb. then you can also give it a thumb up. good job PA.
Now all that PA needs to do is not block edits for something like 2 minutes after posting. I tested the function just now on your post - it works! I gave you a thumb up for mentioning the feature. thanks bro. one more good thing about SAMMY i would like to mention that here in india their phone are priced almost equal to the States however on the other hand apple and htc always price their phones way higher than the international prices. no wonder they are undisputed market leader in India as well which is very crucial for their future success. exactly. thats the reason apple has not seen much success. 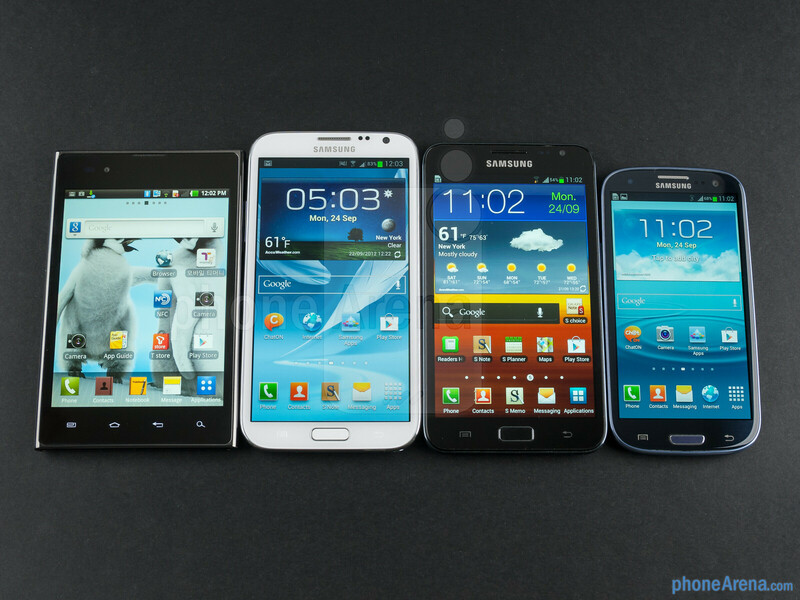 while S2, note2 and s3 are selling like hell. i was talking about india bro. yeah apple sells real well. Really? 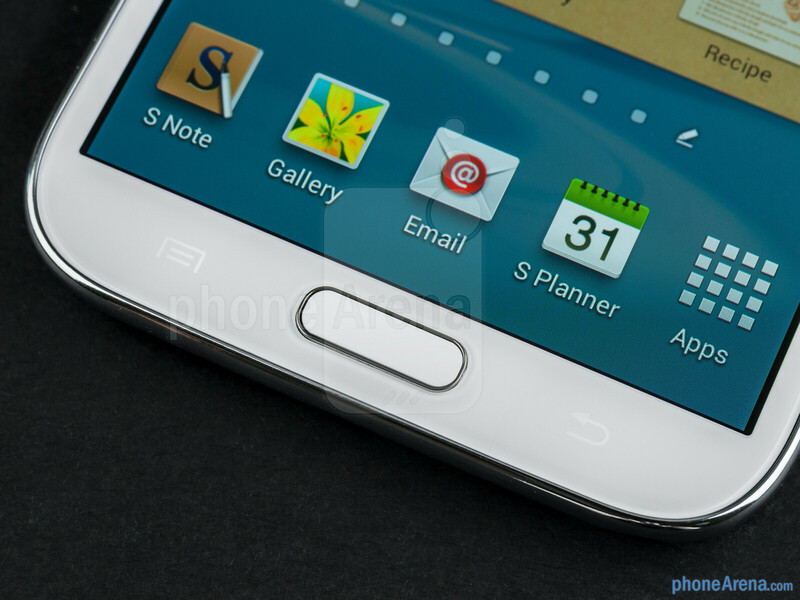 The SGS3 costs more than 40k in India. and it's worth only about 30-35k. BTW i hope they improve the performance of the storage subsystem. Because that is the one and only bottleneck of today's superphones. P.S. : I live in Rajasthan, India. But I agree that they have became a top contender in India. Thanks in no small parts to their good value for money Android Phones. Btw I am only 14 years old and I own the Galaxy Pop. no offenses to Ray but this phone really deserves a rating of 9.7 and is clearly a much better phone than anything currently available in the market. Now, i want to see iP5 heads on with this monster!! Both have the same rating... But we all know who's gonna win! 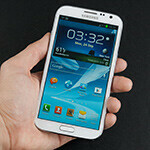 VZW, WHEN are you going to be offering the Note II? And they better keep the same specs. Same here! 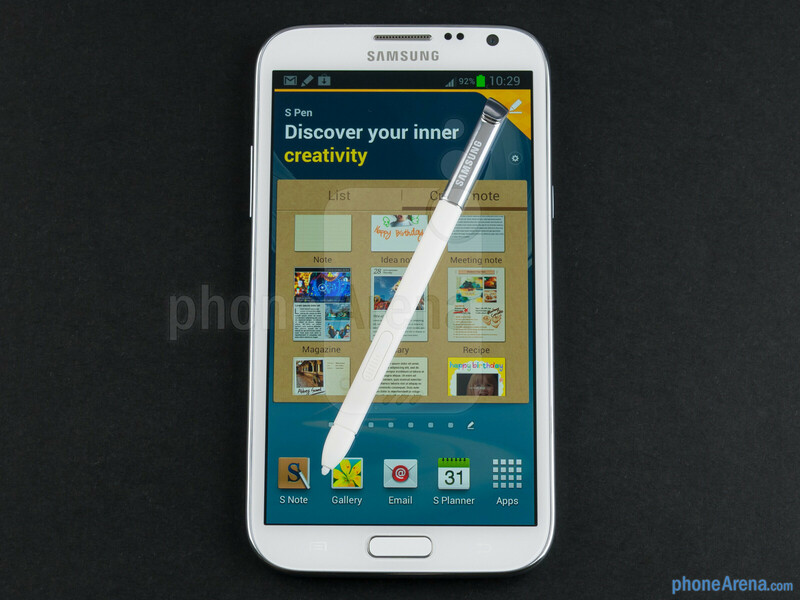 GNOTE II, here I come! Hey mate dont worry, Phonearena Give it 9 because it didn't wanted to angry the s-Sheeps cause the iphone 5 got 9. Phonearena rates its reviews on the basis of the phones Popularity. Its a popularity Contest. 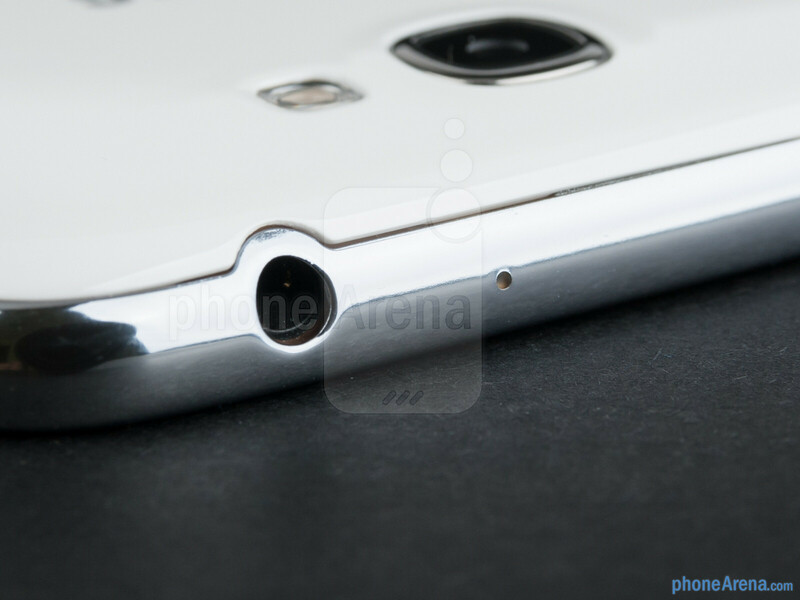 The First note didn't get a good score cause phonearena thaught it wont sell that much but it did and So now Phonearena knows That Note II will sell well so their giving it 9. Its about The sales and Popularity More Than it is about the Performance of the device. Sounds just like something Y2J would say. Wake up Jericho! Almost every person who has ever owned or wanted an iphone could never really have a sound reason or justify as to why they'd prefer/want one! A majority of the Apple aficianados and patrons could only come up with just one cliched response - "BECAUSE IT IS AN I-PHONE". I am not an anti iPhone/apple guy. Given its reputation for standards, I'd love to work for that company as a design engineer. I really do. But let's face the fact - It's darn too pricey and somewhat overhyped for what it brings to the table. I've been following apple events for few years now and one thing that explains its popularity has to do with the way apple products get advertised. They're very catchy and enamouring! Believe me and that's the reason why you can't have more to say than what's been aesthetically presented by the Apple's big guys! I like one in particular who really steals the show - Jonathan Ive, The vice president of Design. 5806 on Quadrant, that's about what my EVO LTE gets with the Qualcomm Snapdragon S4 Dual-Core "Krait" processor. I am still waiting for PHOLED to be used in Sammy's OLED displays. P.S. : PHOLEDs will initially be 2 times more efficient than current OLEDs. But they will become 4 times more efficient after the technology matures.